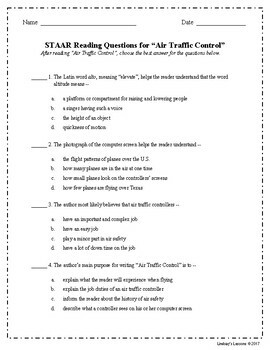 STAAR Reading Questions for "Air Traffic Control"
This worksheet is meant to accompany the STAAR release passage "Air Traffic Control" from the 2013 Writing STAAR test. 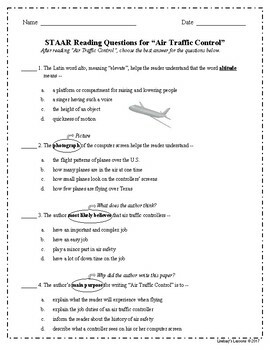 These are reading stem questions to accompany a STAAR revision passage. 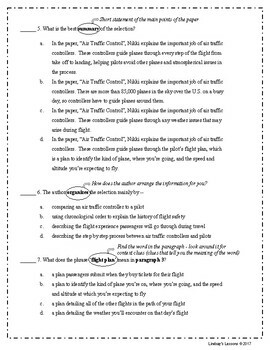 This allowed us to cover both 7th grade testing areas at one time while using released tests. 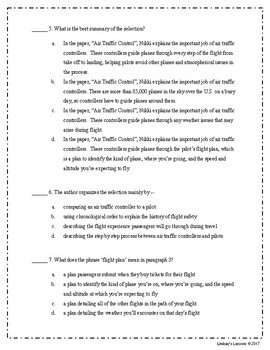 We had the students do the written questions on chart paper, then do a gallery walk with the written question worksheet.